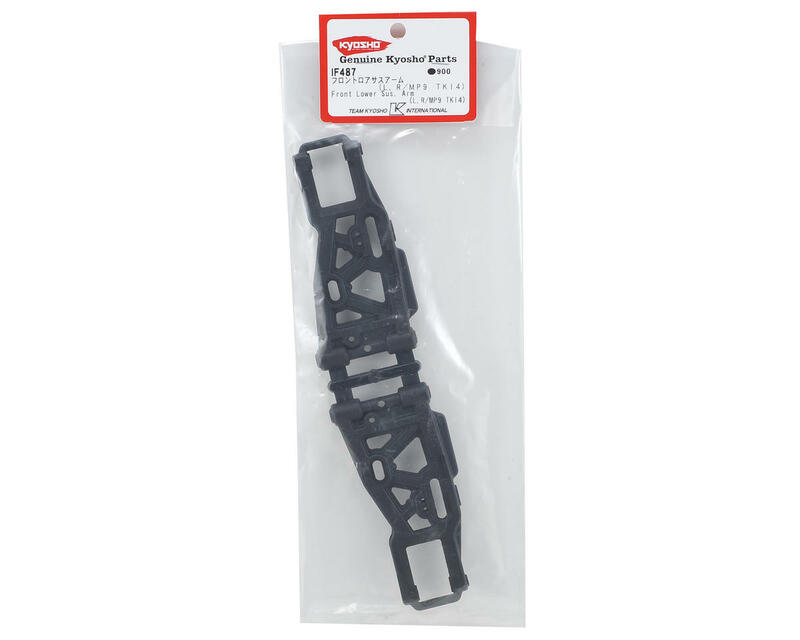 This is an optional Kyosho Front Lower Suspension Arm Set for the TKI4 Buggy. These arms are directional, marked with a "L" and "R", and are the same as the stock replacement TKI4 arms with one exception: the stock arms (KYOIF487H) are made from "Hard" material, these arms are not. 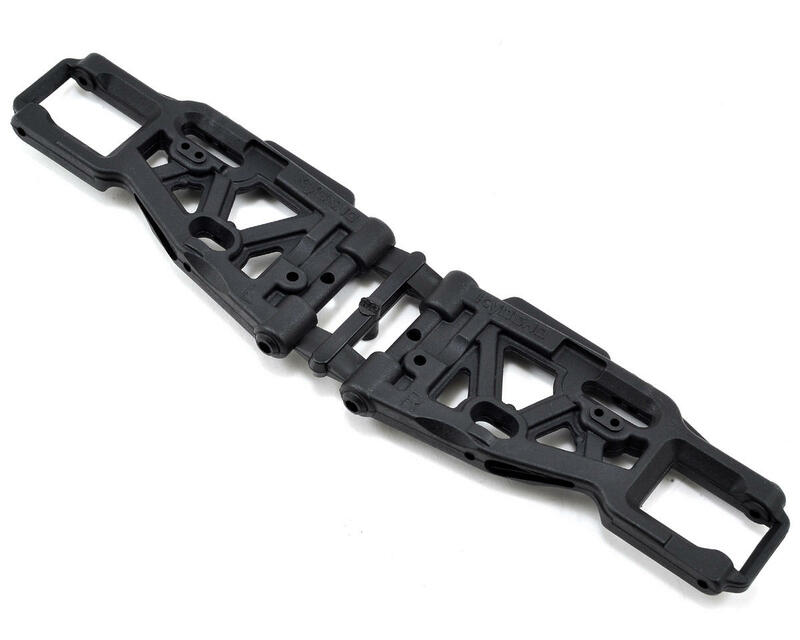 Redesigned for the TKI4, the front lower arms have been reinforced to make them stronger and more durable. The arms are also 2mm longer than the TKI3 front arms, which allows the use of the 93mm driveshafts (KYOIFW425). The longer arms also bring the front suspension out closer to maximum width as regulated by world and national organizations, which gives the TKI4 a wider stance for improved cornering.